Today we’ll get more details about another VMware technology called Storage DRS (SDRS). Storage DRS allows you to manage the aggregated resources of a datastore cluster, which means that you can balance a space and I/O load between different datastores within a datastore cluster. Also, SDRS manages the initial placement of virtual disks based on space and I/O workload. 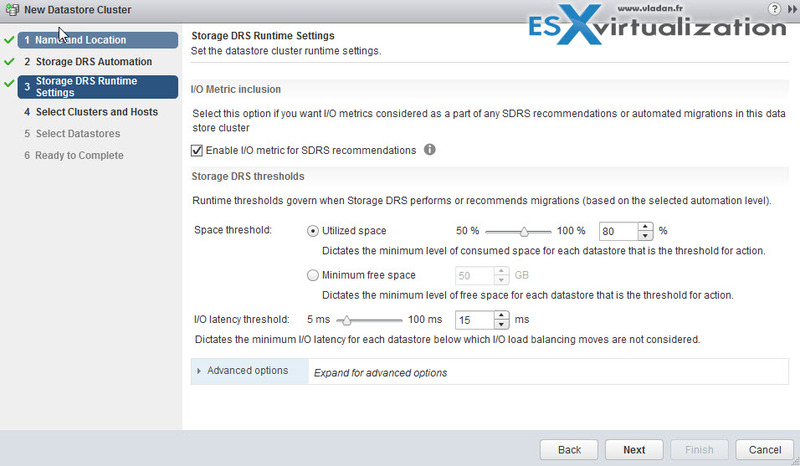 Today’s post is entitled – What is VMware Storage DRS (SDRS)? What is an initial placement you might ask? The initial placement is a process when you select a datastore within datastore cluster where you want to place a virtual machine disk and the system will propose you the best possible place. SDRS and initial placement are happening when for example you create a new virtual machine (VM) or clone VM. This also happens when a virtual machine disk (VMDK) is migrated to another datastore cluster, or when you add a disk to an existing VM. 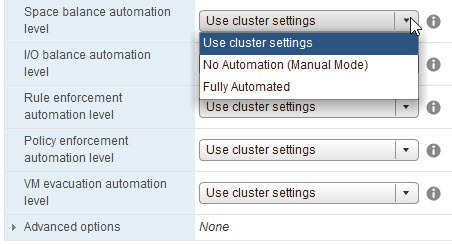 Then click New Datastore cluster button. As you can see, SDRS can be disabled and re-enabled. 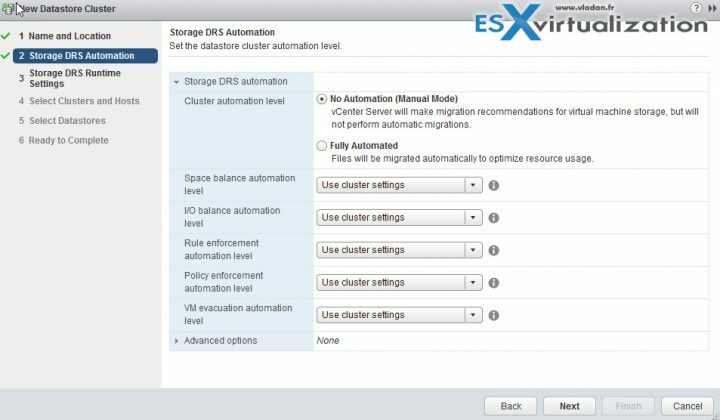 When you enable Storage DRS, the settings for the datastore cluster are restored to the point where Storage DRS was disabled. 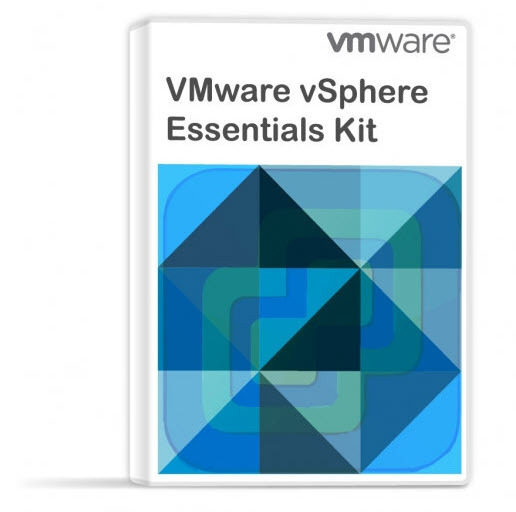 VMware SDRS is invoked every 8 hours by default, or when one or more datastores exceeds the space utilization or I/O latency during an extended period of time. When Storage DRS is invoked, it checks each datastore’s space utilization and I/O latency values against the threshold. Any of those two thresholds can invoke the SDRS action. What have we learned today? A group of datastores with shared resources and a shared management interface forms a datastore cluster. Datastore clusters are similar to what are clusters to hosts. When you create a datastore cluster within your environment, you can use vSphere Storage DRS to manage storage resources.